Donald Trump Once Pitched a TV Show That Would Be Like Dynasty, But About ModelsThe Tower would be about models living in a skyscraper. Corey Lewandowski Leaving CNN, May Join Trump White HouseOf course he is. Jeff Zucker Slams Donna Brazile’s ‘Unethical’ Leaks to Clinton CampaignThe CNN president is reportedly pissed at the former commentator and DNC head. Larry King Says Piers Morgan Was No Larry KingAlso he’s around to come back to CNN, if necessary. CNN Deports Piers Morgan From Its Prime-Time LineupJeff Zucker heard the American people. CNN Lays Off 40 Journalists Amid Bieber-Arrest FeverThe wall-to-wall coverage somehow continues unabated. Jay Leno and CNN Are Reportedly FlirtingJeff Zucker has a big idea. Jeff Zucker Says CNN Will Soon Have Less News, More ‘Attitude’Like Anthony Bourdain. Jeff Zucker’s Teenage Son Quit His ‘Job’ at Cory Booker’s Start-upHe had stock options. Soledad O’Brien Gently Pushed Off Air at CNN The Jeff Zucker era continues. 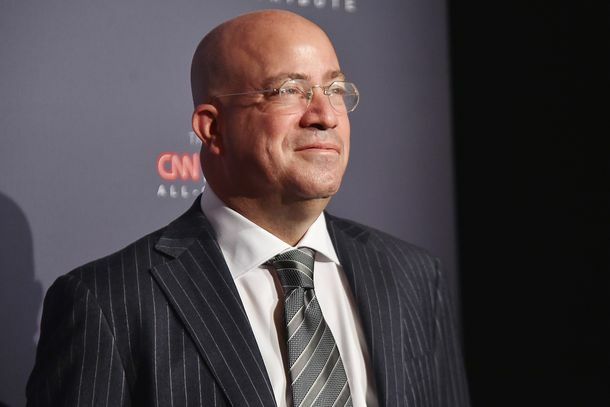 Jeff Zucker’s CNN Is Starting to Take Shape [Updated]James Carville, Erick Erickson out; Chris Cuomo in. Jeff Zucker Officially Named President of CNNNow it’s official. Before You Mock the Idea of Jeff Zucker Running CNN …Remember that before driving NBC’s prime time into the ground, he was a news wunderkind. Jeff Zucker Is Taking Over CNN, For Real This Time [Updated]After months of rumors, this might be it. Jeff Zucker’s Kid Couldn’t Get Kanye West for His Bar MitzvahSo he got Drake instead. Katie Couric Eyeing Talk Show With Jeff Zucker?She might try to be the white Oprah! Jeff Zucker Loves Keith Olbermann, Glenn Beck Does NotAnd Keith Olbermann speaks out. The Best Quotes From Behind-the-Scenes of the Conan-Leno War“I just think Jay’s going to hurt me in some way.” —Conan. Couric Could Return to Today?That’s what “Page Six” hears. Jeff Zucker ‘Would Think About Running for Office Someday’Or, just maybe, jumping to an NBC competitor. Hollywood Gloats Over Zucker’s Exit“About to board a plane, otherwise I’d throw a party,” one top TV show-runner e-mailed Vulture. Jeff Zucker Out at NBCWell, that took long enough. Couric’s Future Questioned at CBSThe anchorwoman experiment may be drawing to a close. Comcast CEO Has No Plans to Move NBC to Cable (for Now)It also appears that Jeff Zucker’s job is safe (for now). Mr. Zucker Goes to WashingtonNBC CEO to kick it with the Senate Judiciary Committee’s anti-trust panel. Last Night on Late Night: Norm Macdonald Kicks Conan When He’s DownPlus, Stephen Colbert wins a gold medal in NBC bashing on our regular late-night roundup. CGI Conan Battles CGI JayThis couldn’t possibly be more amazing. Jeff Zucker: I’ve Received Death ThreatsBut everything’s fine at NBC.